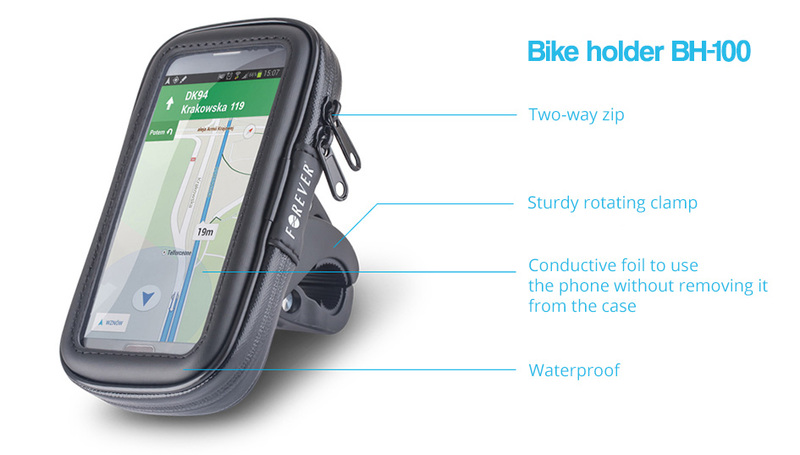 Waterproof and conducive bike holder for smartphones Forever BH-100. 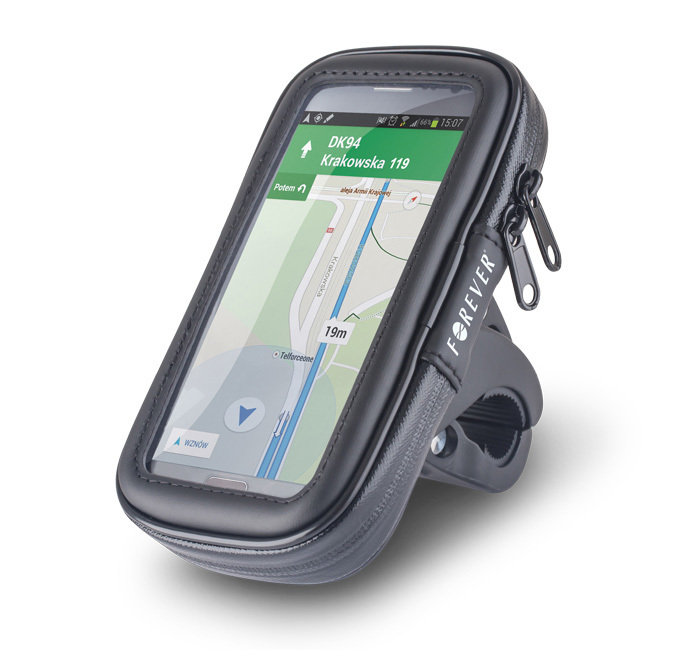 Bike holder with a waterproof phone case is an accessory allowing you to have a phone within reach during every cycling tour. Conductive foil lets you use your phone without removing it from the case. 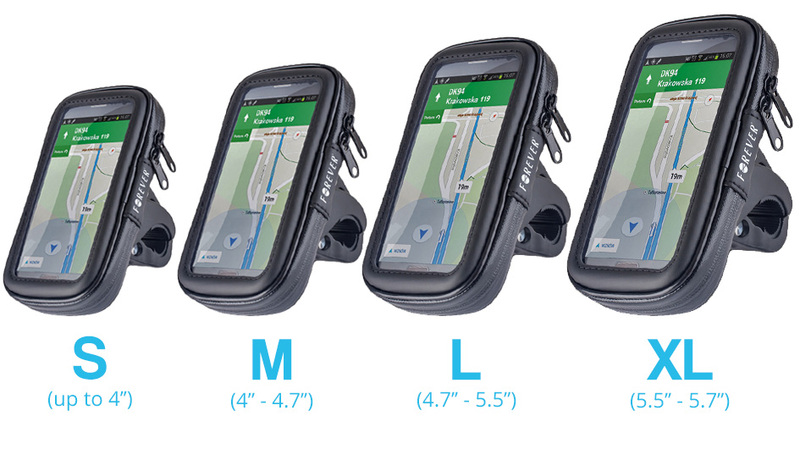 The case is tightly sealed and waterproof, so the phone is effectively protected even in the toughest conditions. The holder is fastened to the bicycle frame with a solid clamp that securely holds the product while driving. Cover in size S - compatible with 4" phones (128 x 62 x 22 mm), size M - compatible with 4,7" phones (138 x 72 x 22 mm), size L - compatible with 5,5" phones (155 x 85 x 22 mm), size XL - compatible with 5,7" phones (155 x 81 x 13 mm). All iOS, Android and Windows Phone smartphones equipped with minijack port.